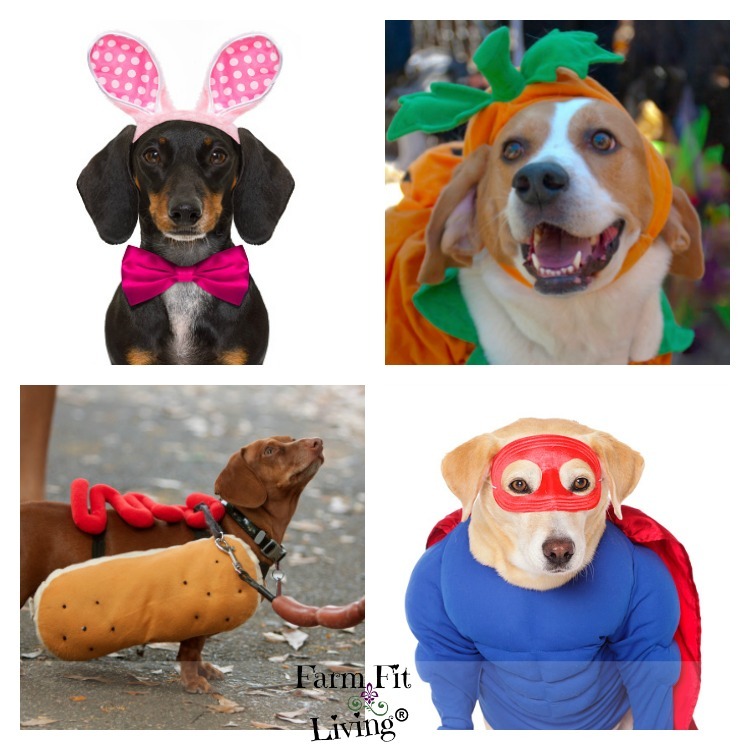 Looking for popular dog Halloween costumes to dress up your furry friends? Popular dog Halloween costumes might be difficult to shift through. Here – Let me help! I’ve compiled a list of the three most popular dog Halloween costumes according to dog size – Including extra large dog Halloween costumes. And I have provided links directly to the best dog costumes for sale via Amazon.com for you to click through and order. 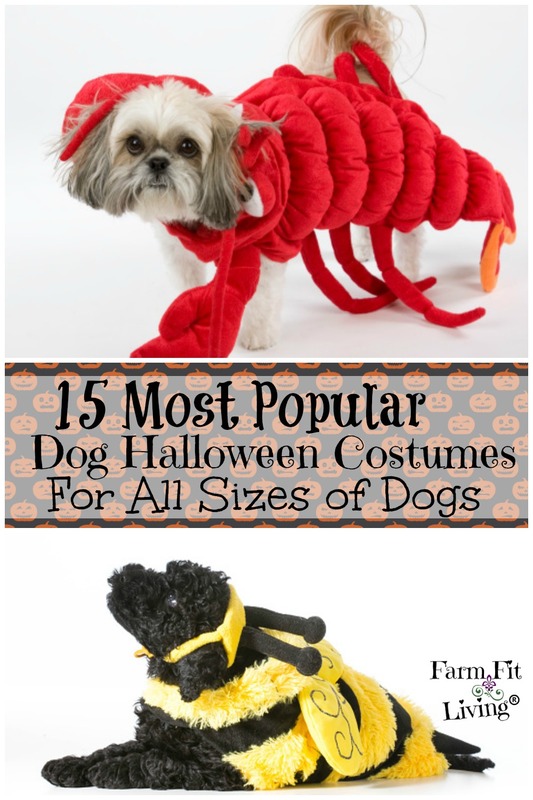 All because I want to help you find the most popular dog Halloween costumes for your special dog. It’s fun to celebrate with your pets. People love seeing cute pets in costume. It’s super important when dressing your dog in a costume that the costume fits well and does not fall off when running or walking. You want to make sure the costume for your pet is safe and not a burden to your fun night of Halloween parties and trick or treating. The 15 most popular Halloween Costumes for Dogs Amazon has available for sale. The most popular extra small to extra large dog halloween costumes. SAFE links that go directly to these costumes on Amazon that you can purchase. You’ll be the talk of the party with your dressed up Halloween dogs. But first, let me tell you more about these trusty links I have provided for you. So, these links to costumes I’ve provided for you are direct links to Amazon.com. They are my Amazon affiliate links. It’s pretty simple, really. As an Amazon affiliate, when I advertise costumes I would buy for my dogs (or any other product related to the post), I can link to it. Then, when my readers click on those links and make an Amazon purchase, I get some royalties from that purchase. Therefore, when you make any purchase using one of these links, I get a small percent of the profit just for advertising the costumes in my post. So, you don’t have to purchase that particular costume. Just simply keeping around Amazon until you find another one you like. You’ll still be helping me out at absolutely NO Extra Cost to you. So, you just pay the price of the costume (or whatever) you’re buying. Easy Peasy. And I want to say THANK YOU so much in advance for using my Amazon affiliate links to score your needed purchases and help me to support my family and this blog I love writing on so much. Now that we have that out of the way, let’s look at some cute costumes for dogs. Here are three of the most popular dog Halloween costumes for toys dogs. The hot dog costumes work best on dachshunds. Obvious, right? But wiener jokes just never get old. So, dress up your wiener dog right with this hot dog costume. This costume even has ketchup on it! What’s not to like? The hot dog costume can also work great for any other longer dog breeds. Check out the hot dog costume here. This Santa costume is so adorable. With only a couple months away from the Big Man’s visit, you’ll be getting your pooch in the spirit sooner than later. Whether you believe or not, your little poochie will be adorable in his/her Halloween Santa suit. And your dog can even get double wear out of it by wearing it at Christmas, too. Get your dog a Santa costume here. And get your Elf Costume here. Funny and cute at the same time. Your yappy little Yorkie will look simply adorable in this little minion costume. It you’ve ever seen the Despicable Me series, you’ll know where minions come from. They steal the show and even got their own Minions Movie later on! The minion costume would likely fit your toy dog to a tea. A step up in size of the Toy breeds, small dogs range from about 20-30 pounds. You can still carry them easily for a short while. And they make great lap dogs. My miniature beagle Sage is designated as a small dog. She weighs about 25 pounds and is about a foot tall or so. And here are some small dog costumes for you to shop through. If you have a small dog that shakes it’s little tail when she walks, this hula costume is perfect. It will give your little dog the attitude he/she desires. Add in a little hula music with this costume to really make it pop and have fun with it! Everyone will love it. I think it would look so cute on a pug. Terriers would look awesome in this fantastic bat costume. It’s the perfect spooky and scary Halloween costume for your little dog. Plus, it fits comfortably and securely so your little dog won’t chew or pull it off. Here’s a great bat costume idea for your dog. Because bees need to be saved, beekeeping is all the rage. And bee costumes for dogs are popular, too. Check out this honey bee costume for your small dog. 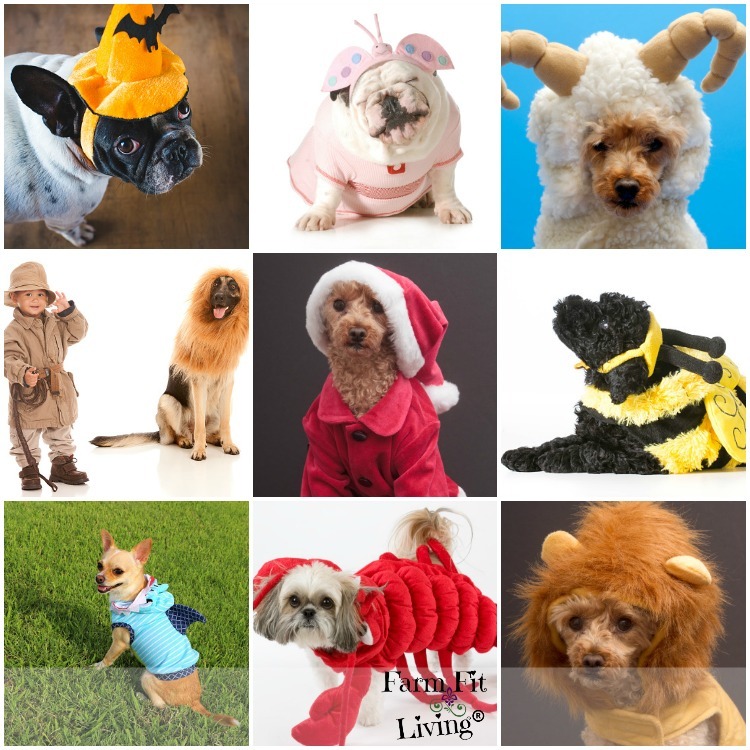 Your dog will be buzzing around on Halloween night in their busy bee Halloween costume. So, medium dogs are a size up from small dogs. These dogs range in size from 40 -60 pounds. So, they are still lap dogs and make great pets. Here are some common medium dog breeds. These dogs are good working dog and they make great pets, too. They are great sports for dressing up on Halloween. Here are some popular medium dog costumes. Has your beagle ever stolen your scrambled eggs and eaten them without you knowing? (I’m raising my hand). If so, your egg thieving dog turned into a rotten egg stinky dog, which is why this skunk costume might be appropriate. It’s also appropriate for any dog who loves to find something dead and roll in it. (My beagle also does this) Yuck! But, that is just what dogs do for fun. They just can’t help it. Get this hilariously cute costume here. Get more candy by dressing your dog up in this tasty tootsie roll costume. How CA-YOOOT!! Can you see your Corgi or Basset dressed up as a piece of tootsie roll candy? If so, this tootsie roll costume may be for your dog. Sweeten up your night by dressing your dog up like a tootsie roll. Here’s a fun one! Count Dracula will be stalking all night long. Only if your dog is dressed up like one! (Haha). And this Dracula costume is very detailed. I mean, it has fangs! How adorable is that. A beagle or bulldog would look so cute. Actually, ANY of these dogs would look amazing in this costume. Some of America’s favorites are in this category. These dogs are sized from 60-100 pounds and they are FUN! They are the large dogs you live to love. Here are some common and popular large breed dogs. Many of these breeds are very popular for those of you reading this blog. Because many of you are avid livestock producers and hunters, you have been around some of these dog breeds. They are playful but love to do their thing. They protect, guard, herd and work, but to these dogs their work is play. So, they deserve to have a little fun with you on Halloween. And here are some costumes that would be great for your large breed dog. Dress up your dog elegantly with this beautiful butterfly costume. I could see this costume on a Golden Lab or a Retriever. Even a Chocolate lab would look very pretty with butterfly wings. You’ll have the most beautiful and biggest butterfly bounding towards you, knocking you over and tickling you with antenes and wings. Now, you can’t tell me that won’t be fun. Or here’s an option that might fit you (and your dog) a little bit better. Yoda fan? Bantha Fan? Yes. Dress up your dog as your favorite Star Wars character! You could even dress up, too. There are plenty of human Star Wars characters out there as well. But maybe your dog isn’t the Star Wars type. So, here is another fun action packed option for your action loving dog. This costume is fun. If your dog likes to run fast and furiously, dress him/her up like this racing pony. Complete with jockey, you just strap it on. Then, let the rodeo begin. This could work for extra large playful dogs as well. The giants of all dog breeds belong in this category. Giant dogs look intimidating until they come over and slobber you with gigantic kisses. Yes, there’s the perfect costume for extra large dog, too. You may or may not have even known you could find costumes that fit your extra large dog. But, there are actually some pretty awesome costumes for gigantic dogs. So, are any of these your dog? If so, check out these large and in charge costumes for your big sweetie. RAAARRR! Is your big dog scary already? Make him/her even more ferocious with a simple lion mane. This costume is an easy option to dressing up your massive dog. If you’ve ever wanted to own a lion, now is your chance. But there are other ferocious options, too. Like sharks. Here’s my pick for a ferocious lion costume for your big dog. Another popular Halloween costumes for giant dogs is this shark costume. Don’t tell your giant I said this (but it’s a really adorable costume). Sharks are very popular animals and this costume will fit your giant dog to a tea. Then, let him/her go run in the tall grass and you’ll see a shark fun “swimming” around. We can all agree that extra large dogs think they save the day. They are natural guardians who intimidate strangers and protect their humans they are loyal to. So, this Superman costume will really fit your big guardian pet who is there to protect. Did You Love A Costume But Concerned About Size? No worries! Still check it out at Amazon.com. Because you may have the option to choose a different size if available. Read the specks and measure your dog accordingly. Make sure the sizing chart fits the size of your dog before you order a costume. But you’ll have to hurry because some sizes may sell out. So, start planning for your dog’s Halloween costume now in order to have it delivered right to your door. And prepare for some fun with your dogs’ popular dog Halloween costumes. No matter the size of your dog, there’s a costume that will fit him/her just perfectly. Choosing popular dog Halloween costumes and imagining your dog in them is just play fun. And the major reason for dressing up your dog in popular dog Halloween costumes is because it’s a fun thing to do. But the main thing to remember is to choose a costume that fits your pet very well. You want a safe costume that will not snag or catch on something. If you have a dog that loves to chew on things, you’ll need to keep that in mind as well with the type of costume you choose. In conclusion, these are some simple concepts to keep in mind when choosing popular dog Halloween costumes for your dogs. I hope you choose to dress up your dog this Halloween and let him/her join in on the fun. Our dog has been a bee and an ewok! This year he’s gonna be a minion! I’m way more excited than he is lol. Cute! What kind of dog? My beagle is typically a pumpkin. So much fun! I’ll have to pass this on to my sister…she loves dressing up and that includes her dog! Before kids, I always dressed up the dogs. So much fun! Too cute! We just have two cats, and they’d scratch the heck out of us if we tried to put a costume on them. I dressed up my cat once and it was the best day of my life! Too bad she hated it and it only lasted on her a few minutes! I have a minter pound lab and I wanted him to be a Star Wars character but my youngest wouldn’t let me do he is going to be a lion instead. He’s been letting me put it in him to practice for the holiday and I’m taking him trick or treating with the kids! I don’t have a dog and all these pics are so cute. My friends have dogs and they will love this post. Will share. I used to do this all the time. Now we are so far out there is nowhere to take them without a long drive to show them off. Dog costumes always crack me up. I once dressed my shelty as a biker. He looked so adorable and got so many compliments. Unfortunately my current dog is so hyper, he is going to have to stay at home – no costume for him. Ha! That’s a super cute Halloween outfit. I bet there are lots of dog owners dressing their pets up. These are cute outfits for dogs and so long as the dog is not irritated being in the outfit, they can take part in Halloween too. Aww! I wish my sister’s dog was a girl so I could him a tutu instead but I have no idea what to get him. We decided to with a Dallas Cowboys outfit lol.